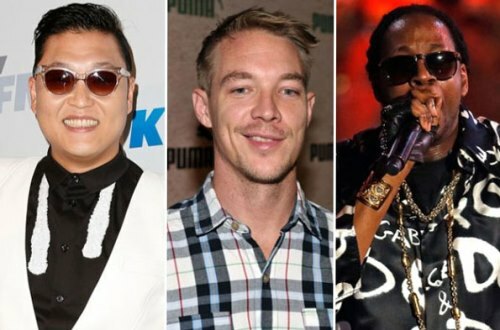 Psy Made 8 Million by ‘Gangnam Style’: He also recently received an invitation to work with the Famous Rapper 2 Chainz and Diplo. Duo you like it or not, but it’s undeniable success dizziness of Gangnam Style with audiences the world. And of course the owner of this global phenomenon well known to grasp the opportunity and pocket a huge profit. Only in 2012, ear catching melodies and dancing horses “gods” brought about Psy 7.9 million. According to the Associated Press, the majority of Psy-earned money is coming from advertising contracts handsomely for Samsung and LG valued at more than $ 4.6 million. And when the song of the south Korean singer hits 1 billion views on Youtube, you will receive at least $ 1 million from this clip. Estimates, Psy account also adding 870 thousand dollars from the ads that appear throughout the video, after Google profit 50% discount. It was hard to believe that the cover craze and the “who jumped Gangnam Style, the house heard Gangnam Style” to made Psy make more money even more. In addition to 50 thousand dollars from the sale of the CD, the track to the other life has reached 2.7 million downloads on iTunes system. And though Apple has taken away 30% commission, Psy is still more than $ 2.4 million poured into the bag. Even to the fans on day watch online Gangnam Style in South Korea is helping the 34-year-old scraped together every single one. Per-view is 2 cents means 61 thousand dollars continued to smile at Psy. In just four months, Gangnam Style broke the record for the most viewed video in YouTube history. And even failed to climb to the top 1 Billboard and do not get any Grammy nominations, but Psy has become the first Asian artist to win in MMA and EMA (MTV music awards U.S. and European Europe). Share this success promptly, Psy admitted: “There are a lot of suggestions I dancing horse, but to be honest, I’m bored with it. Actually I’m also very angry when themselves to teach people to jump horses., but I still have to do your job. ” And even after that Psy laughed saying that this is just a joke, but maybe Korean singer has more or less no longer interested in Gangnam Style anymore. There will be a long time again, the new Asia is a successful artist as the Psy global phenomenon.